News — THE WINE BROS.
Now in Stock from Mamete Prevostini! This month we're welcoming several new wines from Domaine Mămărutá! Marc Castan founded Domaine Mămărutá in 2009. Based in Fitou, he has two sites in La Palme and on the Leucate cliffs, which he has converted to organic (and is on his way to biodynamic certification). Among our new arrivals are Un Grain de Folie, a rosé made from 90% Syrah and 10% Macabeau, and Kezako, a light and fresh red made from 100% Carignan. 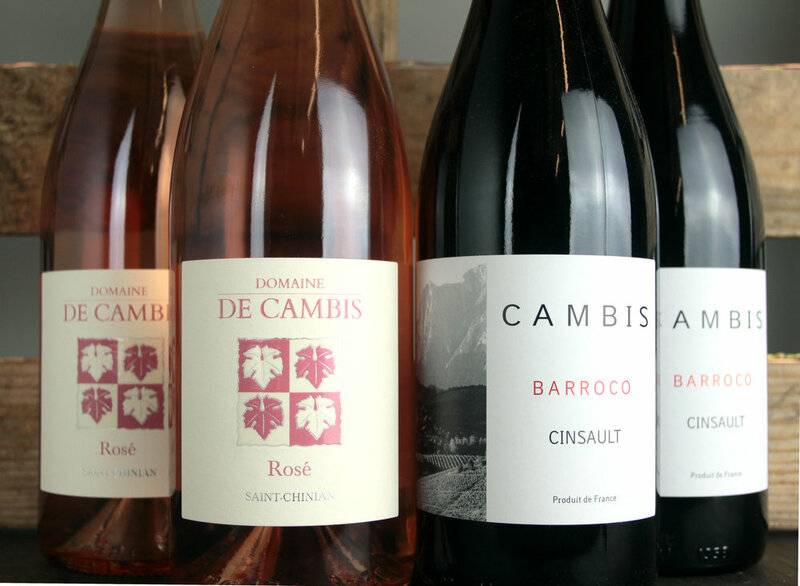 New Arrivals from Domaine de Cambis! "The Rosé is our first wine made of old Cinsaults and Syrah. It’s an elegant rosé with some nice freshness and a good aromatic concentration. It will be perfect for aperitif and will greatly pair with salads, grilled white meat & Asian cuisine." "Barroco is the 'UFO' of our range. This wine is both simple, due to the pure Cinsault, and complex when tasting it. It can fool even the most professional tasters while tasting it blindly because it looks like a Burgundy Pinot Noir!"